This short collections of poetry contains poems from the new full collection collection Lindy Lee: Songs on Mill Hill written by Kimberly Simms. This book is for the history buff, student, and poetry lover alike. Ron Rash says of the collection, "“Kimberly Simms writes with eloquence and empathy about an important part of Southern history too often neglected." 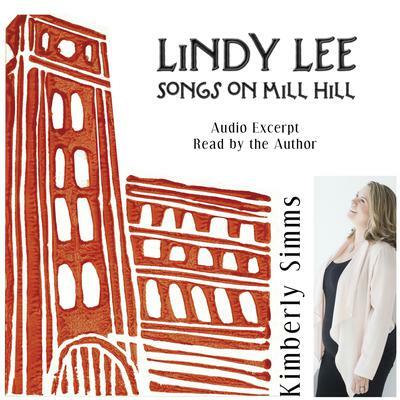 "Focused on a life sewn into mill town culture of the early twentieth century and on through the sixties, Kimberly Simms’ Lindy Lee: Songs on Mill Hill reignite an important (but often forgotten) crux of the South's history. These are not lugubrious, nostalgia-laden poems longing for a South that never was: they are, in sum, a beautiful lens through which to celebrate and record the joys and hardships of a charged, mythic, and sweat-soaked place, its kin and kith, and the microcosmic realities that gather to form a dynamism, a culture still moving, abiding in memory and the heart." Included poems: The Cotton Mill's Song, Mama's Song, The Ugly Jug, Dip, Cliff Jump, Lindy Lee's Trout Breakfast, Hop Along Little Crown, Brother's Mess of Crosses, and Blue Panes. These poems tie into state history standards for South Carolina, Georgia, and North Carolina.